Sometimes I get questions about using ultrasonic devices for coping with pests. “Mrs. Jones uses them and she never sees a mouse!” is often how it goes. I understand the appeal: plug in this thing and my problem is solved. Sure! 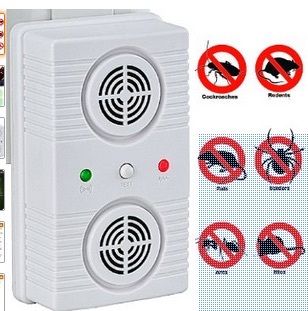 They also have great marketing campaign: this device will emit a sound you can’t hear that scares or annoys pests — forcing them to leave. Cute, but … wrong place, wrong time. The concept of using sound or vibration to deter pests was invented long before electricity. Ancient civilizations might well have used wind and water-powered devices to create vibration, movement or sound to ward off pests. And the concept of ultrasound as deterrent? Well, that might be based on the observation that some insects such as moths and crickets avoid high frequencies that mimic bat predators; similarly, certain sounds could distress rodents. This theoretical frameworks aside, there’s no proof that ultrasonic devices really deter pests. In fact, scientific evaluations of ultrasonic devices have found no effect on target pests: German cockroaches, bed bugs and rodents. (See Literature section below.) In some cases, the frequency and intensity manufacturers claim don’t match up with actual output. Not only that, but some devices exceed limits imposed by the Occupational Safety and Health Act (OSHA) for human tolerance of sound exposure. Can this really repel all of the above? Think twice before you invest. So why doesn’t Mrs. Jones have mice? Well, prevention is cardinal to good IPM, and perhaps her house is well constructed and sealed against outdoor pest invasions. Or perhaps she keeps a clean home with no spilled food or water. Again, prevention is numero uno in IPM. 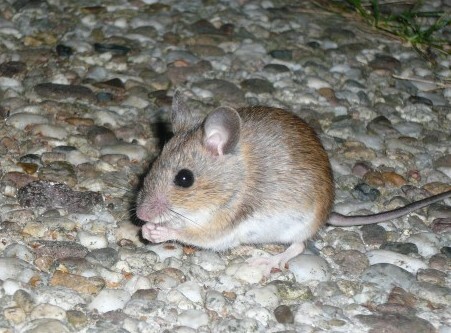 If a pest did invade her home, her best chance at management would involve eliminating access to food, water and shelter, then reducing the pest population by trapping or baiting. Again, core IPM. Next time you’re dealing with a pest problem, figure out why they’re there and address that issue. Consult our IPM pest fact sheets to guide your way. And put away those ineffective ultrasonic devices. Bomford, M, & PH O’Brien. 1990. Sonic Deterrents in Animal Damage Control: A Review of the Device Tests and Effectiveness. Wildlife Society Bulletin 18(4): 411-422. Gold, RE, TN Decker, & AD Vance. 1990. Acoustical Characterization and Efficacy Evaluation of Ultrasonic Pest Control Devices Marketed for Control of German Cockroaches (Orthoptera: Blattellidae). Journal of Economic Entomology 77: 1507-1512. Koehler, PG, RS Patterson, & JC Webb. 1986. Efficacy of Ultrasound for German Cockroach (Orthoptera: Blattellidae) and Oriental Rat Flea (Siphonoptera: Pulicidae) Control. Journal of Economic Entomology 79: 1027-1031. Shumake, SA. 1997. Electronic Rodent Repellent Devices: A Review of Efficacy Test Protocols and Regulatory Actions. In (ed.) JR Mason: Repellents in Wildlife Management (August 8-10, 1995, Denver, CO). USDA, National Wildlife Research Center, Fort Collins, CO.
Yturralde, KM, & RW Hofstetter. 2012. Efficacy of Commercially Available Ultrasonic Pest Repellent Devices to Affect Behavior of Bed Bugs (Hemiptera: Cimicidae). Journal of Economic Entomology 105(6): 2107-2114. An IPM Extension Educator stationed in the Hudson Valley, Matt offers advice, training sessions, workshops and conducts research related to pest management in and around buildings.